It’s my birthday! I know I’m supposed to be posting a recipe for CSA Tuesdays, but the truth is I didn’t get my CSA last week. Why? I was in Richmond, VA visiting the Sabra hummus factory instead! I think that’s a great reason for missing my CSA, plus I was told I can just double up next week. Instead, I wanted to tell you about my fabulous trip and leave you with a hummus inspired recipe. I arrived in Richmond in the early afternoon on Wednesday. My husband and I were lucky enough to have some time so we went up to the rooftop pool. It was on the 17th story of the hotel and it overlooked all of downtown Richmond. It was a beautiful view and we enjoyed the sun and pool. Wednesday night I got to see Stephanie (my amazing Sabra contact) and a few of the other Sabra Tastemakers bloggers. I’m usually very nervous around new people but these food lovers were awesome! The funny part is that out of the 6 of us, 3 of us were named Heather. How funny is that? 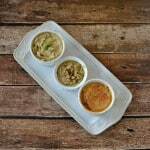 We went to this amazing Southern cuisine restaurant called Julep’s. We got to know each other over some delicious appetizers. There were steamed mussels with lamb sausage, fried oysters, and a lovely cheese platter. Stephanie told me I had to try the fried green tomatoes. Now I am not a tomato fan but these were out of this world amazing! They were deep fried and topped with house made pimento cheese and peppadew aioli. Another yummy appetizer was the pork belly. It tasted like the most tender ribs in the world. Definitely a new favorite. Then there were the fried sweetbreads. For those of you who are not foodies, sweetbreads are not fluffy pieces of pastry like bread. Sweetbreads are the thymus gland or pancreas of an animal. I knew exactly what they were but was dead set against trying them. However, with a little nudging from Matt of Thyme in our Kitchen and Fabi of Not Just Baked I took the plunge and tried them. I won’t lie and say I loved them, but they weren’t bad! 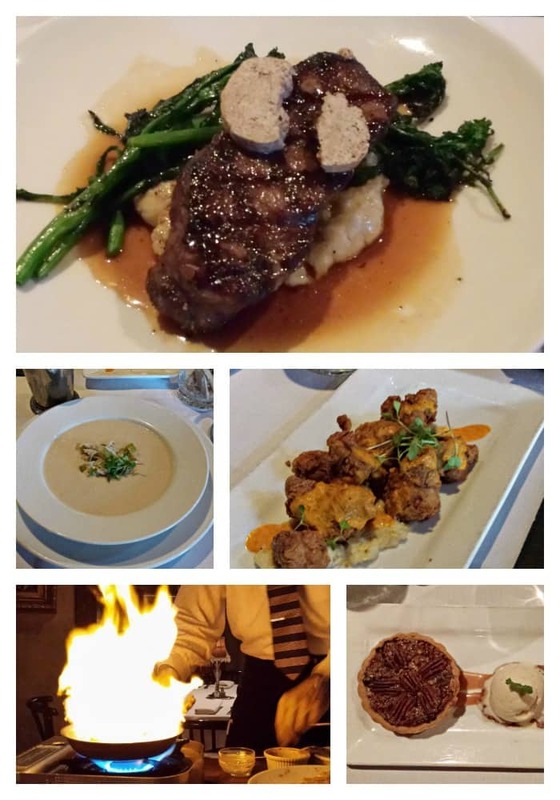 After my adventurous streak, I settled on a Grilled New York Strip Steak with black garlic butter, Bourbon-Bacon demi-glaze, horseradish mashed potatoes, and grilled broccoli rabe. The steak was extremely tender and the sweetness from the black garlic in the butter was perfect with it. I wish I could have eaten the entire thing but I was saving room for dessert. Speaking of dessert, a few of the foodies at our table got the table side Bananas Foster which was almost as much fun to watch them prepare as it was to eat it. I had the Chocolate Bourbon Pecan Tart with pecan butter caramel and cinnamon ice cream. The perfect ending to dinner. The next morning we were up bright and early to see the chickpea farm at Virginia State University and to go to the Sabra factory. Unfortunately we were delayed by an accident and it took a while to get to the farm but once there things started looking up. 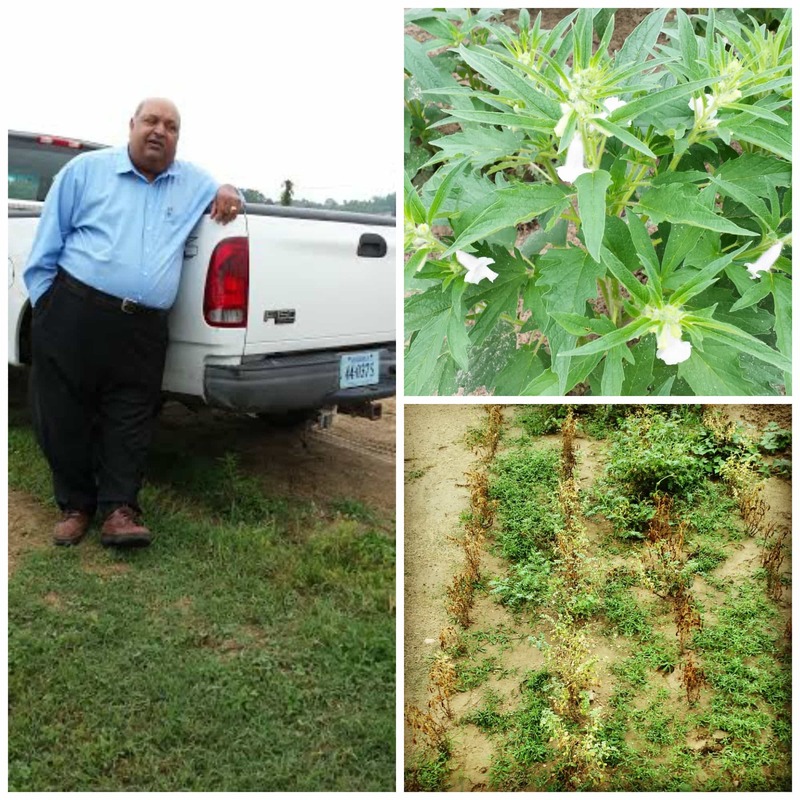 We met Dr. Bhardwaj who has a large plot of land at VSU to develop new crops for the Virginia area. This is where the chickpeas were. Chickpeas do not grow naturally in Virginia and with the help of his team he’s been testing out different chickpea crops and developing techniques to grow them in Virginia. He’s also trying to grow sesame crops on his plot of land because everyone knows when you mix chickpeas and sesame you get a delicious hummus like Sabra! I will say that the sesame plant is surprisingly beautiful. Also on the farm we got to see a bunch of the freshly picked chickpeas which weren’t how I imagined them at all. We also saw freshly picked chickpeas and got to taste them (warning: they are hard and not very good before cooking). 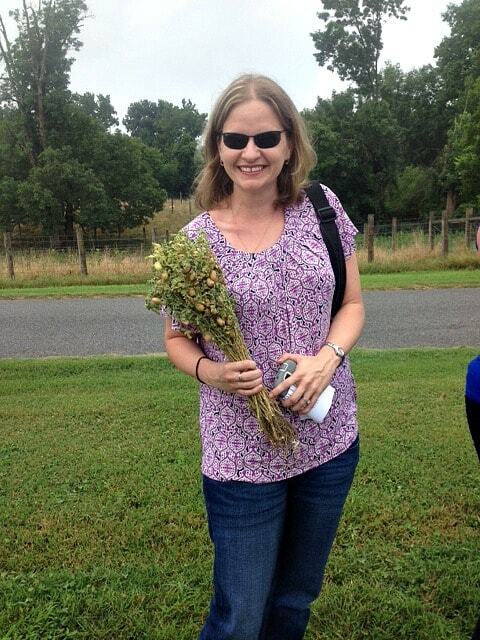 The team at VSU also gave us each a fresh picked sunflower which was super sweet. That was the end of our farm visit and then we were whisked off the the Sabra factory. 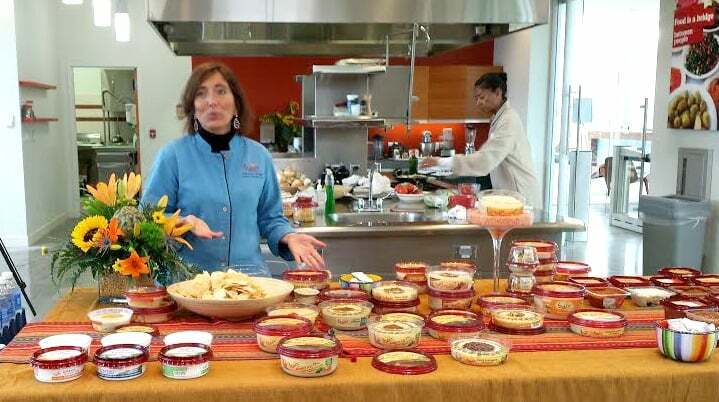 Once there we met with Chef MaryDawn Wright who talked to us all about the Sabra products, particularly the hummus. 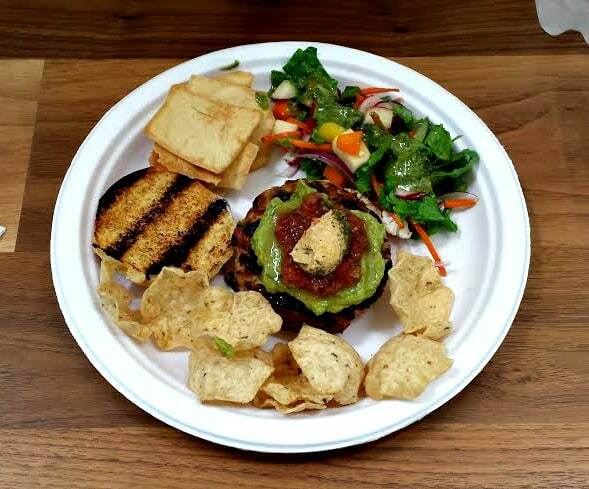 We got a lesson in properly tasting the hummus and then were served a lovely lunch of chicken sliders which I added Sabra salsa, guacamole, and hummus too. They were delicious. Chef MaryDawn also made two hummus dips for us. One was a cold hummus with salsa verde on top and the other was a hot hummus dip with charred eggplant and garlic in it. I had way too much of both but it was totally worth it. After lunch we went back and tasted the salsas, hummus, yogurt dips, and guacamole. I also found out that Sabra has some incredible Mediterranean salads! I’ve never seen them at my local market but I’m definitely going to ask for them. My favorites were the Turkish Salad and the Roasted Eggplant. So much flavor in both of them. Next we got to tour the factory. It was really neat getting to see how the raw chickpeas go into the chickpea paste, what is added to the paste and how, and finally how everything is packaged. All of the workers we met were super nice they seemed to be enjoying their jobs. I think working at Sabra would be a blast! Before we went home we went back to the conference room and watched some inspirational videos from Sabra. They were fun to watch and I got a great feeling about this company. Then we had a quick demo from another blogger who was there, Heather from Farmgirl Gourmet, who is also one of the founders of Spiceologist. 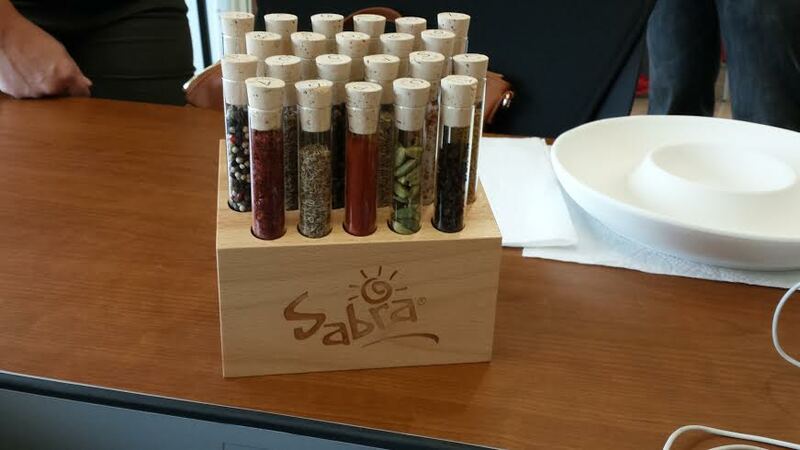 We got to smell some of their amazing spices and I love the custom made Sabra wooden block they had made filled with Mediterranean spices! Our last activity of the trip was painting a chip and dip bowl. I made mine a few different colors and put the Sabra sun in the middle. I can’t wait to see how it turns out. 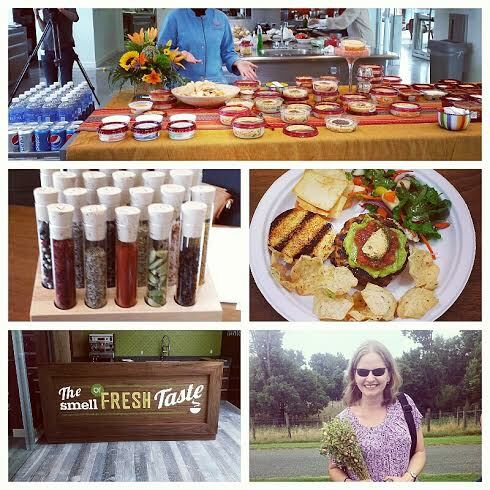 I had an amazing trip with all of the bloggers mentioned above as well as Tyna from We Heart This, and Heather from basilmomma. I also want to thank Stephanie, Ilya, and Rachel for taking the time out of their busy schedules to hang out with us and show us everything we could ever want to know about Sabra! They were definitely the best hosts and I look forward to seeing all 3 of them again soon! 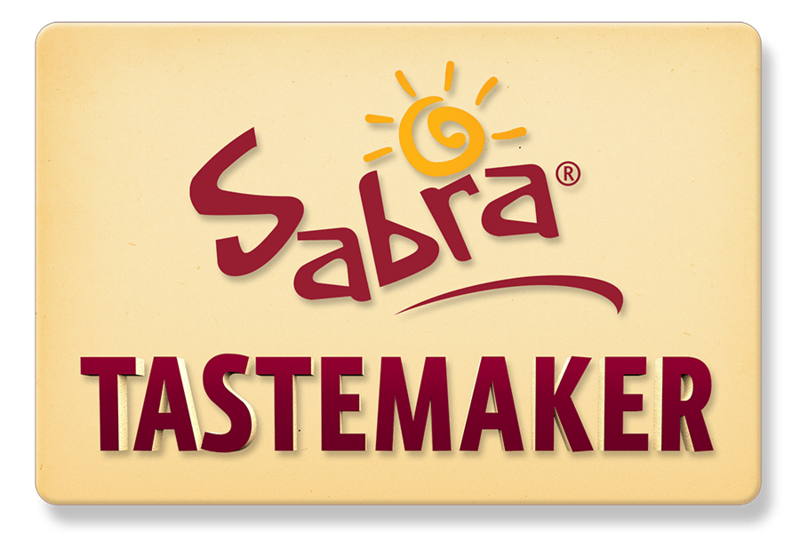 Thank you to Sabra for including me as one of the a 2014 Sabra Tastemakers and for allowing me to have an amazing trip! After my fabulous trip I had hummus on the brain and after eating Chef MaryDawn’s hummus dips I wanted to make one of my own. 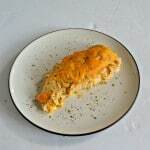 Here is one that I came up with out of a few ingredients I had in the refrigerator. I love hummus in the summer. 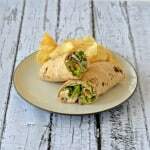 It’s such a great snack to grab out of the refrigerator and enjoy with pita chips or vegetables. 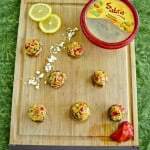 Have you seen the individual serving size cups from Sabra? I love grabbing them on my way out the door and having them as a snack on the go. Another thing I’ve been having fun with is making dips with the hummus. Last week I had friends over and we had a delicious warm hummus dip. 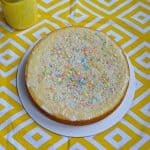 There aren’t many ingredients in this one but the flavors are delicious. If you can’t find the Vidalia Onion cheese go with feta instead. My local produce store has a crazy array of local crafted cheeses and this one just paired well with this dip. I used original flavor hummus but feel free to experiment. 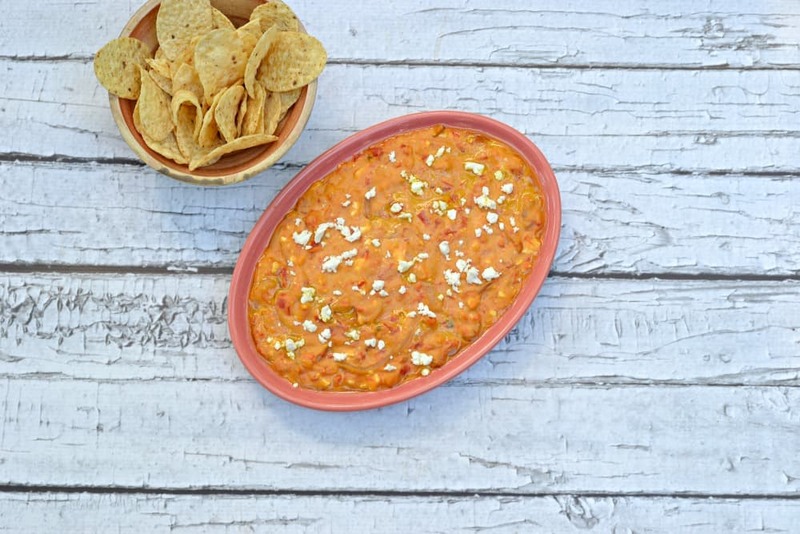 The sundried tomato or the lemon would probably taste great in this dip as well. I caramelized some onions and then mixed them with the hummus and spread it in a baking dish. I then roasted some red peppers in the oven. 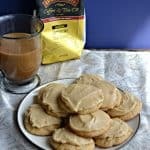 If you have store bought ones they are just as good but I didn’t have any on hand. Lastly, top it all off with the cheese and bake in the oven until the cheese has melted. 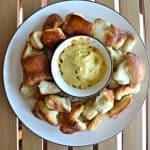 It’s awesome with crackers or pita chips! Place the hummus in a medium bowl. Set aside. Melt the butter in a small skillet over medium heat. Add the onions and sugar and saute for 20 minutes, stirring occasionally, or until the onions have caramelized. Immediately pour the onions into the hummus and mix well. 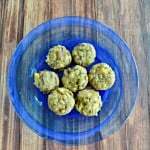 Spread the hummus into a 7 x 11 or 8 x 8 baking dish. 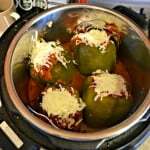 Place the roasted red peppers on top and then sprinkle with the cheese. 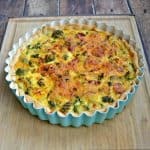 Bake in the oven for 10-12 minutes or until the cheese has melted. 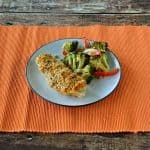 Remove from the oven, drizzle with the olive oil, and serve with crackers or pita chips. Sabra provided me with the trip to their factory and a stipend for my work but all opinions, photos, and text are 100% my own. 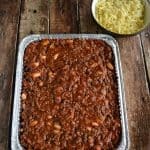 What a culinary adventure, within this post!! It looks and sound amazingly delicious. Thanks for sharing with us! I had the best time and everyone was so amazing! The chef at Sabra actually makes a cake with hummus in it! I’ve got to try doing that soon. If I succeed I’ll send you the recipe! Oh my goodness! We make hummus all the time, but sometimes that’s too time consuming. Mixing flavors into plain hummus, now that’s just genius! Thanks! I love how creative this dish is! I am so happy we tried the thymus, totally worth it, even if you thought is wasn’t so bad :). Thanks Fabi! I’m so glad we tried the thymus too. I’d probably even eat it again! My brother was proud of me for trying it. I’m so glad I got to meet you and hope we meet up again sometime soon! If I wasn’t hungry before reading your post…now I am STARVING! Man, I love Sabra’s hummus -specially the spicy one. Oh…my stomach is grumbling…. Me too! 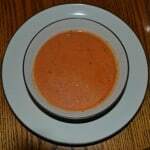 I think my favorite is the ever popular roasted red pepper hummus. Sounds like you had an amazing time for sure. All the food looks so delicious and prepared wonderfully. Thanks for sharing. Sabra is our favorite brand of Hummus. We think it is delightful. I am so excited you got to experience the farm. I’ve never seen a chickpea plant, either! Looks delicious, I would love to taste this! That would be so cool to visit Sabra. All you pictures have such tasty food in them. I’ve actually never had hummus before. It looks like you had a fun trip! Oh Cassie you need to try it! 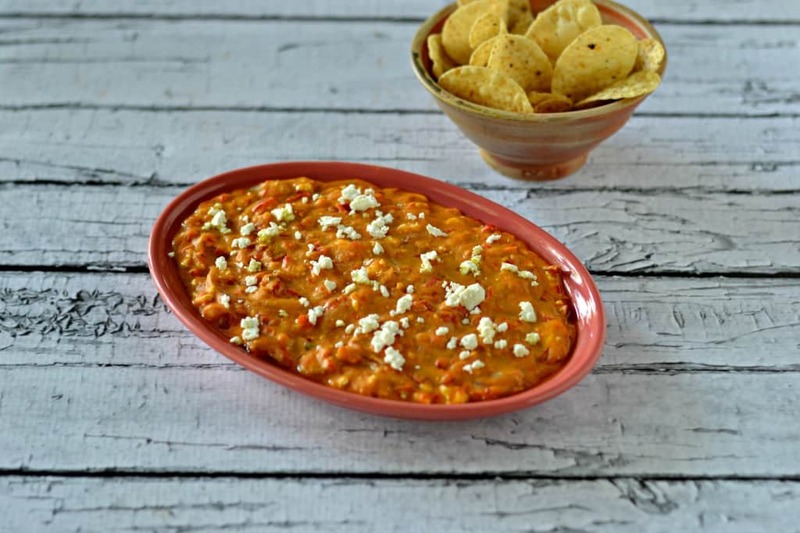 It’s much healthier then traditional dips and is great on crackers, pita chips, or on a sandwich/wrap instead of mayo or other condiments! Enjoyed reading about your experience at Sabre. 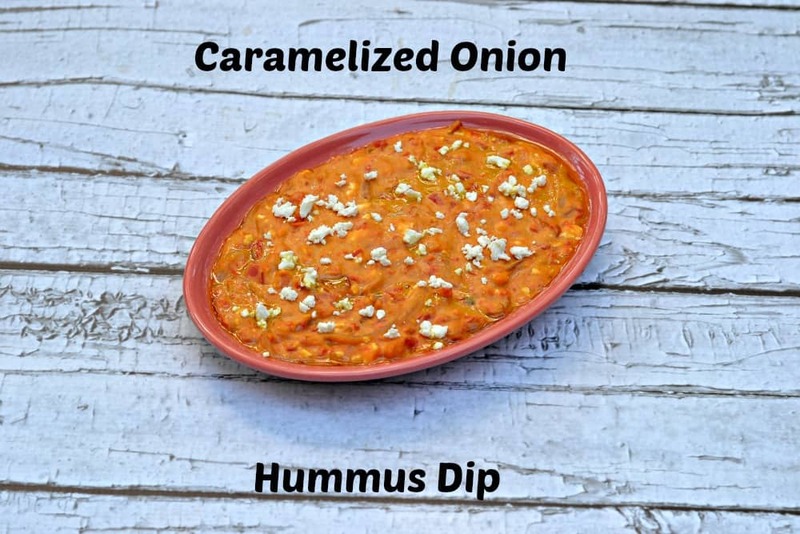 I too love humus and caramelized onion. It sounds like you had loads of fun! I’m not a fan of plain hummus, but I do like it when things are mixed in. I think I will try your recipe when I get home. My daughter will love it too. 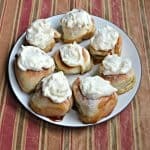 Sounds like such an amazing experience and your recipe looks awesome! Can’t wait to try it! Yeah! It sounds like you had an amazing trip! How funny so many of you were named Heather! I know Heather of Basil Momma as she’s from Indy! And I had a roommate in college named MaryDawn! I haven’t heard or met anyone else named MaryDawn before, let alone a chef! I’ll have to tell her. lol.